U.S. Rep. Beto O’Rourke, D-El Paso, will campaign in the Rio Grande Valley on May 1 and 2 in his ongoing bid challenging incumbent U.S. Sen. Ted Cruz, R-TX, in November’s election. O’Rourke will hold a roundtable with community leaders in Brownsville on May 1, as well as a town hall, his campaign said. On May 2, O’Rourke will meet with community leaders in McAllen and hold a town hall. He will also block walk in McAllen before taking off for a “beers with Beto” event in Laredo. On May 3, O’Rourke will block walk and meet with community leaders in Laredo, his campaign said, before taking off for town halls in Carrizo Springs and Uvalde. This marks O’Rourke’s first Valley visit since February, when he held town halls in Edinburg and Brownsville, and his third of 2018. O’Rourke’s first Valley tour this year took place in January when he held town halls in San Benito, Weslaco and Mission, and went for a jog with supporters in McAllen. Since O’Rourke’s February visit, Cruz made two Valley trips. In his official capacity, Cruz stopped in McAllen to tour the border with Vice President Mike Pence days after O’Rourke’s campaigning. In April, a day after Cruz formally launched his re-election campaign, he received an endorsement from the National Border Patrol Council in Edinburg. 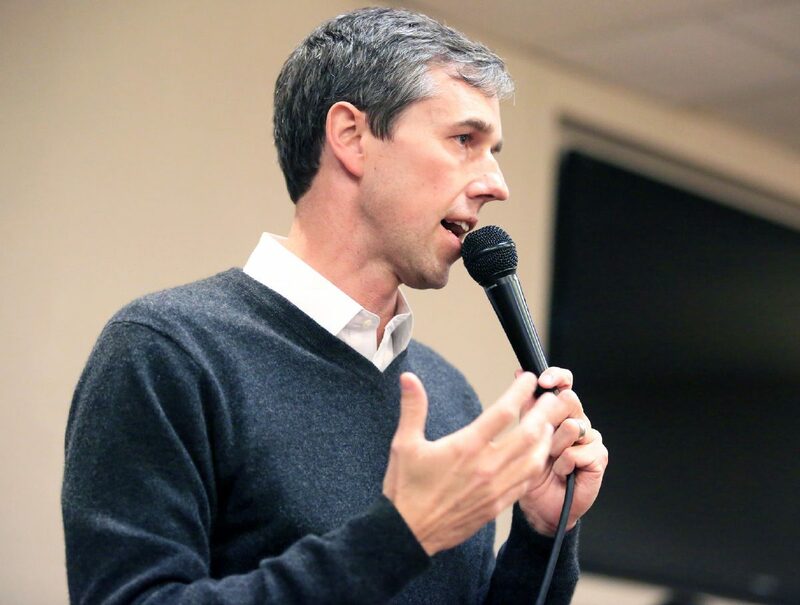 O’Rourke is looking to boost his United States-Mexico border numbers from the March Democratic primary, in which O’Rourke won with 62 percent of the vote. However, he struggled in many border counties. Despite several Valley campaign trips over the previous year, O’Rourke captured just 51 percent of the vote in Hidalgo County, receiving 19,047 votes compared to opponent Sema Hernandez’s 15,974 (42 percent). O’Rourke struggled even more in Cameron County, where he received 6,590 votes (47 percent), compared to Hernandez’s 6,167 (44 percent). Hernandez comfortably won Starr County, Willacy County, Zapata County, Brooks County, Kenedy County, Duval County and Webb county.